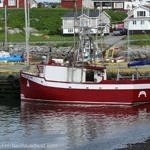 The Port au Choix Peninsula juts into the Gulf of St. Lawrence from the Great Northern Peninsula on Newfoundland’s northwest coast. 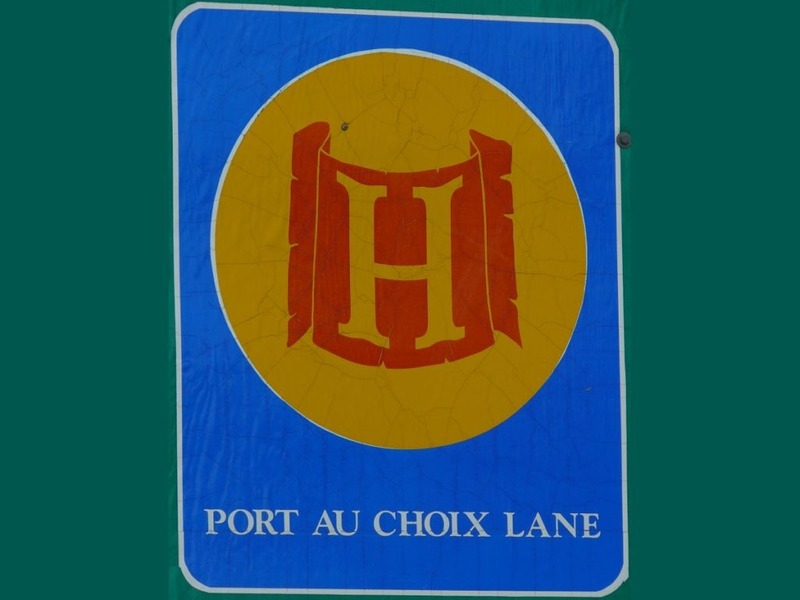 It’s an area steeped in ancient human history, and though the route is short, a trip down Port au Choix Lane is long on unique sights and memorable experiences. A trip down Route 430-28—a.k.a. 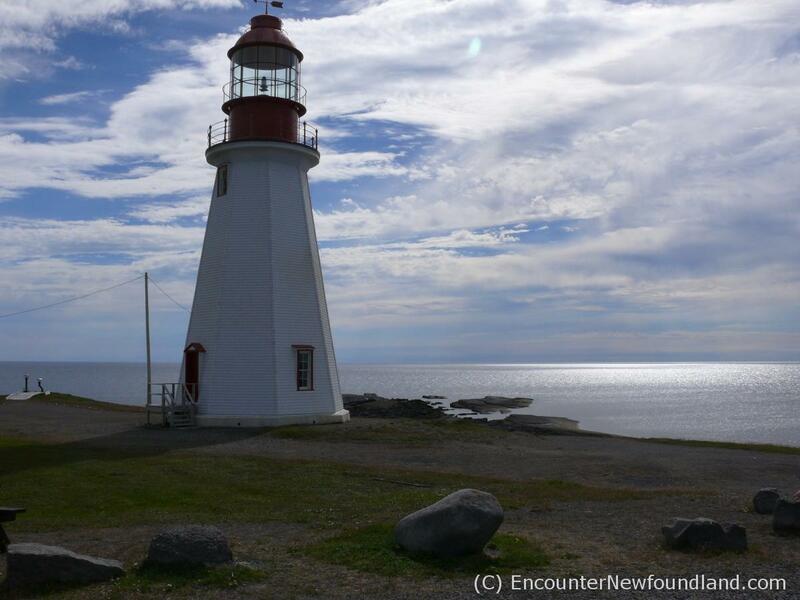 Port au Choix Lane—is an engaging Great Northern adventure that draws visitors into a world of serene natural beauty, where prize salmon swim in abundance, picture perfect lighthouses tower over rocky shores, and delicate, rare flowers spring from windswept barrens. It’s an environment that’s as stunning as it is unique. You wouldn’t be the first to enjoy the beauteous surroundings, however; the rich ocean bounty here—fish, whales and seabirds—has been a big draw for centuries. 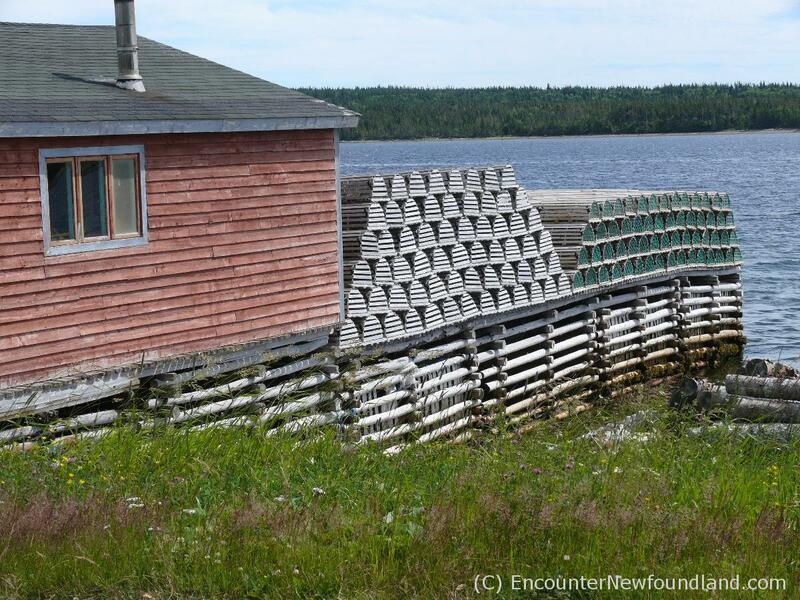 In fact, 5,500 years of human habitation are physically recorded here on this small strip of land, and numerous burial sites and the remains of archaic communities left behind by very early settlers—Maritime Archaic Tradition, Groswater and Dorset Paleoeskimos, and Recent Indians—invite visitors to rediscover the peninsula’s rich and ancient history. 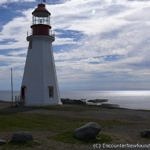 Designated as a National Historic Site in the 1970s, the Port au Choix Peninsula has become one of the must-visit destinations along the Great Northern Peninsula, and it’s an unforgettable excursion. 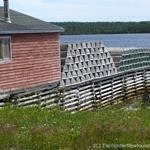 A short detour off of Route 430—the Viking Trail—on to Route 430-28 takes you into the coastal town of Port Saunders, a historical waterfront community dotted with traditional fishing stages. Nearby, the East River offers anglers a sweet opportunity to net a prize salmon. 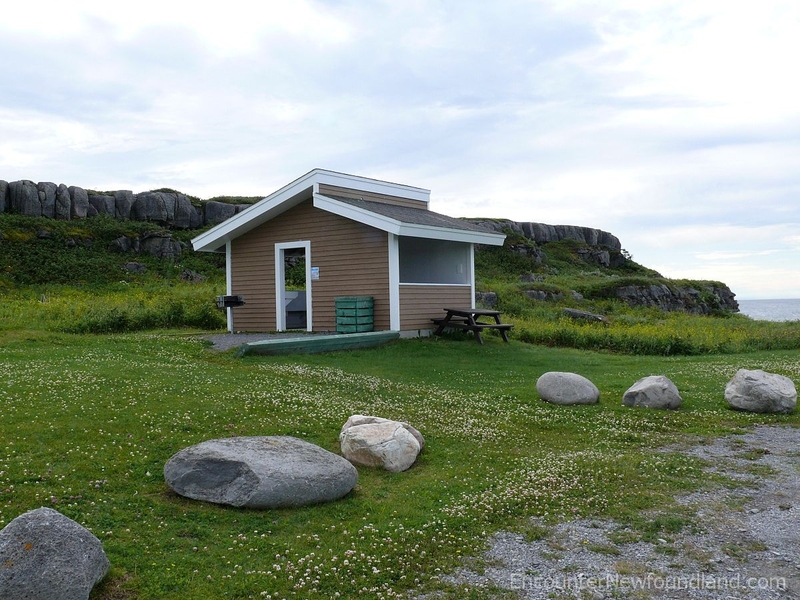 While touring this picturesque little community, be sure to take in the Crow Head Trail. This 7 kilometer hike winds through breathtaking scenery, complete with fishing boats, rare fossils and a view of scenic Keppel Island lighthouse. 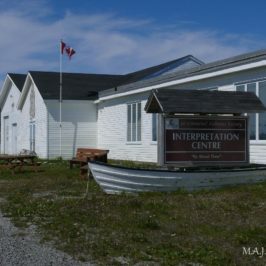 Port au Choix national Historic Site Interpretation Center, Route 430-28, Point Riche Rd. Continuing along Route 430-28, a left turn on to Point Rich Rd. 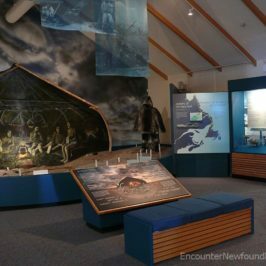 will take you to the Port au Choix National Historic Site Interpretation Center. In 1967, a group of workmen excavating the basement of a new theatre, discovered many artifacts and remains. 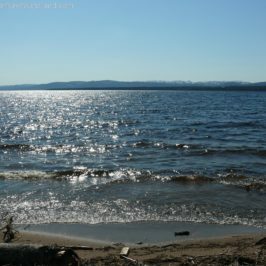 This find marked the site of ancient aboriginal burial grounds of the Maritime Archaic People, who inhabited the area more than 3000 years ago. 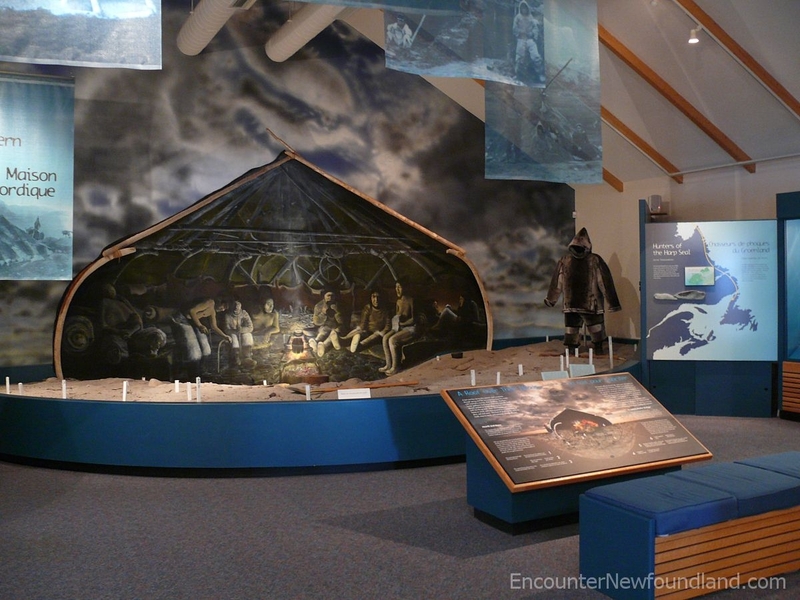 The interpretation center boasts an impressive collection of artifacts and interactive displays that take visitors back through time to learn about the ancient peoples who once inhabited these shores. Point Riche Lighthouse, Route 430-28, Point Riche Rd. 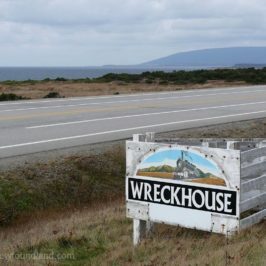 A short jaunt farther along the well-kept gravel road brings you to the tip of the tiny Ferolle Peninsula and the historic Point Riche Lighthouse. Perched on the edge of the world and towering against the blue sky, the structure is a stereotypical ‘pepperpot’ lighthouse, and a photo opportunity not to be missed. The white, octagonal tower and bright red lantern house stand against sky and sea, for that perfect seascape shot. 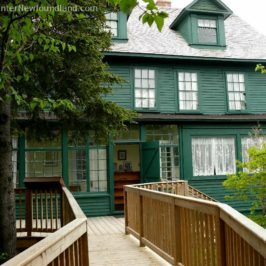 Built in 1892, this impressive historic structure is still in operation. Dorset Trail and the Limestone Barrens, Route 403-28, Point Riche Rd. 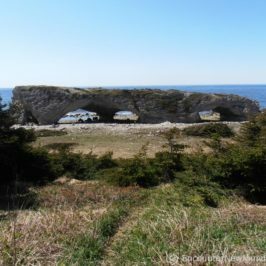 Several trails crisscross the Port au Choix Peninsula, allowing visitors to fully explore the area. 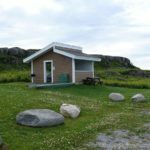 The Dorset Trail can be accessed from Point Riche and winds its way across the gravelly barrens to the Town of Port au Choix itself. The uncommon limestone geography of the peninsula has not only helped to preserve the many artifacts left behind by the ancient and early modern peoples, it also supports the hundreds of rare alpine plants that grow among the barrens, some of which are found nowhere else. 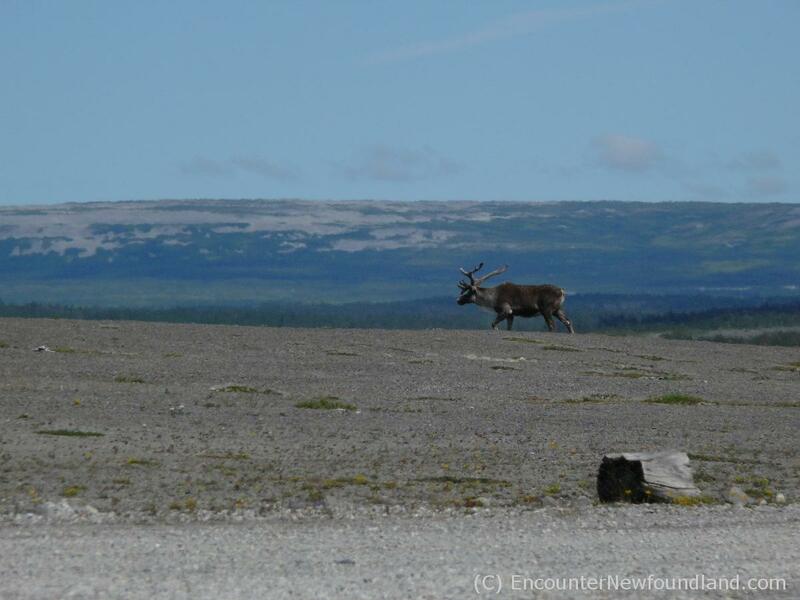 On your way, watch for caribou that roam the barrens in the summer months. Phillip’s Garden, Route 430-28, Fisher St. Traveling back down Point Rich Rd, a left on to Farwell’s Drive will bring you to Fisher St., at the end of which lies Phillips Garden, where you can visit the remains of a Dorset community—an ancient people who arrived on the island shortly after the Maritime Archaic Indians departed—and view evidence of settlement by the Groswater, an even earlier visitor to these shores. 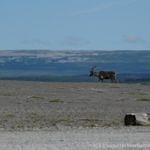 50 dwelling structures and thousands of tools, pottery and other artifacts have been unearthed here, and the dig, one of the largest such sites in the eastern Arctic region, is still ongoing. 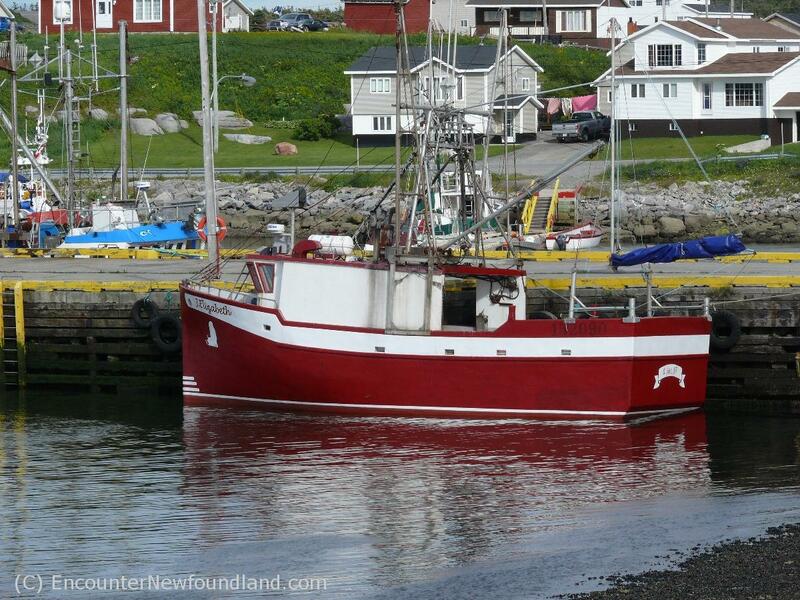 Port au Choix, the town, is worth exploring for its quaint waterside beauty and friendly hospitality. Picturesque boats line the shore on one side of its main street, and welcoming smiles are everywhere. 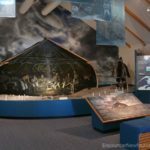 While there, stop into the French Rooms Heritage Center to discover the history of early European inhabitants who deserted their vessels to permanently settle on the peninsula. The French Bread Oven Program offers visitors a literal taste of history, with bread freshly baked in a reconstructed outdoor French bread oven. Local jams make this a sweet history lesson indeed.